In the case of dental fear, painful and/or negative experiences are linked to the unknown, the often scary connotations of needles or drills, which perhaps went on many years ago. In most cases, dentists can now remove or relieve pain very quickly, and the fear comes from emotional anguish, rather than physical pain itself. At Archway Dental Group our team are excellent Endodontists, which means we are good at relieving pain and minimising pain. You can trust us, you are in safe hands. 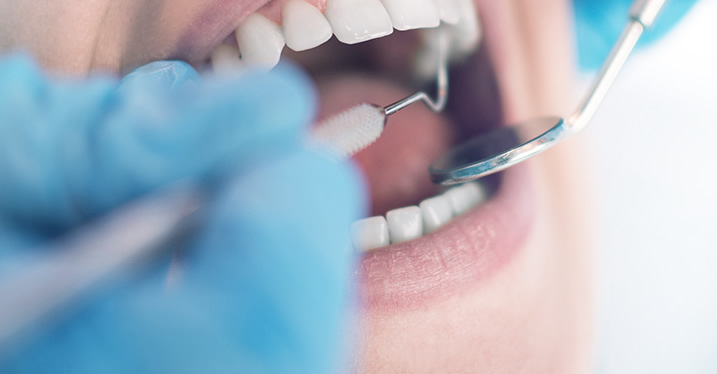 That said dental fear does exist, and If you are a nervous patient, the team at Archway Dental Group would like to reassure you that you are not alone and that we can offer you a positive and calm experience at the dentist. If you can trust our team to take care of your needs, you will be able to take advantage of the treatments and preventative care we offer to ensure that your teeth stay strong and healthy. Often we see patients who haven’t visited the dentist in some time, for fear of judgement; painful holes, missing teeth, or bleeding gums. These people tend to get used too not visiting the dentist and also ‘avoid’ the idea, by pushing it to the back of their mind. As dentists who look at teeth each and every day, we assure you, we have seen it all – we want to help you, we love teeth, and we love to preserve them where possible. Just like washing regularly, and taking care of your nails and your hair, your teeth need attention too; every person needs to see a dentist regularly to prevent issues from arising, and we say, the more often you see a dentist, the better your chances of having a healthy happy mouth, without pain or problems. We welcome you to discuss with us, either on the day, or beforehand, any triggers or areas which can increase your anxiety, it is possible we may be able to do something to change the course of your treatment. If you have a specific issue with, for example, the noises at the dentist, we may be able to do something to reduce their impact, such as offer you music or a different course of treatment. Even if you do not know the specific cause for your concern, we can offer you a gentle environment where you are in control of the process and can take a break at any time.